For over 25 years, Slack Davis Sanger has fought and won legal battles of enormous consequence through compassionate advocacy, relentless dedication, and a deep grasp of the complex set of laws and regulations surrounding personal injury and wrongful death. Lawyers from across the country and around the world trust Slack Davis Sanger with their most valuable assets — their clients. When you send a client to us, you can be confident that we’ll treat them with the same respect, compassion, and professionalism that you do. Referring lawyers return to us time after time for one reason: satisfied clients. Experience: Our firm is internationally recognized in aviation law, with more than 25 years of experience in investigating, analyzing, litigating, and settling aviation, auto/truck, construction site, electrical injury, oilfield injury, medical/pharmaceutical, and product liability cases. Knowledge: Our lawyers have extensive technical knowledge and can drill down deep into the scientific or mechanical details of a case. Resources: Our firm has the manpower and finances to take on the most resource- and time-intensive cases, no matter how complex or where they’re located. Furthermore, our large network of experts allows us to find the right people to analyze or testify in every case. Determined Pursuit of Justice: Our firm has the resources to tackle even the most complicated cases, conducting an extensive analysis of which jurisdictions would be the most auspicious for filing a claim on behalf of a client. Compassionate and Individual Attention: Our team balances an aggressive approach to securing the most favorable outcome for clients with a caring, personalized touch, providing guidance to individuals and their loved ones in the midst of what can often be a very difficult and emotional experience. 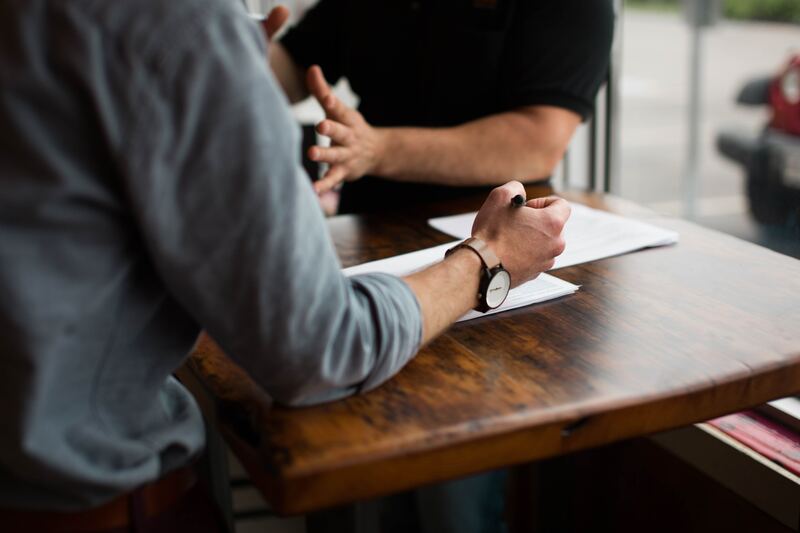 Good Communication: We provide frequent, detailed updates to referring lawyers regarding their clients’ cases, and we’ll keep them as involved in the case as they want to be. "I have opposed the lawyers at Slack Davis Sanger in several cases in the past. I have always found them to be zealous advocates for their clients, and consummate professionals in their dealings with me." "I have had the pleasure of referring my personal injury cases to Slack Davis Sanger for many years. I never have to worry about the quality of the representation or the status of the case, as they have always kept me well informed. I am Board Certified in Criminal Law, and I appreciate the professionalism they exhibit in the preparation of their cases. I will continue to recommend them to anyone in need of services in their field." "Mike Slack and I are presently working on a case together. He puts the client first and works very hard for the client. I am lucky to be working with Mike, and Mike’s client is very lucky to have him as her lawyer." Scott, Douglass & McConnico, L.L.P. "It has been my great pleasure to work on many cases with Mike Slack and Mike Davis over the years — and to refer clients to them whose cases I couldn’t handle for one reason or another. In my book, they are the best of the best our profession has to offer. Not only do they work hard and employ their abundant skills on every case, however complex, but they also care deeply about their clients, and it shows. They don’t teach that in law school. I would, with total confidence, recommend these outstanding lawyers to anyone in need of help in even the toughest of legal battles." "Our firm has worked with the attorneys and staff at Slack Davis Sanger since the firm was formed in 1993. They have assisted our clients with personal injury matters and have served as our co-counsel in planning for our clients’ personal aircraft ownership and operations issues and needs. Our experience and our clients’ experience with Slack Davis Sanger has been outstanding. We recommend the firm highly and always look forward to working with the lawyers and staff there." Saunders, Norval, Nichols & Atkins, L.L.P. "I worked with Mike Davis on a case in which our respective firms represented different plaintiffs against the same defendant in a complicated construction accident. I was impressed with Mike’s big-picture insight to problem solving as well as his professionalism and integrity, and I thoroughly enjoyed working with him as a fellow colleague." The La Spina Law Firm, P.C. "I first met Mike Slack when I mediated a case involving a plane crash in which Mike represented the plaintiff. I was very impressed with his knowledge, preparation, and approach. More than a year later, I asked Mike to investigate a matter for a family member of mine. He handled the investigation with skill, tenacity, and care. I think Mike is a terrific lawyer." "I am a partner in a small general litigation law firm, and we handle a variety of cases, including personal injury matters. In the past few years, whenever we encountered a case that required a more experienced attorney or more litigation resources, or that involved significant medical issues, we referred our clients to Slack Davis Sanger. Their firm has treated our referrals with outstanding professionalism, quality service, and prompt attention. Based on our experience and trust in Slack Davis Sanger, we look forward to a continued relationship for years to come." Our legal team has built a reputation for working hard to secure multi-million dollar settlements on behalf of our clients. Many of the cases we handle are referred to us by other attorneys who value the experience, knowledge and commitment we bring to complex cases. We remain open to any team approach or collaboration that may prove beneficial for the client and all concerned. For Case Inquiries please include: the plaintiff's name, the nature of the injuries, and the date of the incident. * I consent to having this website store my submitted information, so the firm can respond to my inquiry. As leaders in personal injury and aviation law, Slack Davis Sanger attorneys regularly explore the nuances of domestic and international case law in publications and speaking engagements across the country.